We are proud to announce that CoolSculpting® has been awarded the NewBeauty Award for “Best Noninvasive Fat Eliminator”. Thanks to the editors of NewBeauty magazine for choosing CoolSculpting—for the 6th year in a row! It’s an honor to be recognized. Join us in sharing the great news! An easy way to kick stubborn bulges of fat to the curb, noninvasive—and six-time award-winner—CoolSculpting freezes away fat cells for a slimmer silhouette in as little as one month. A good CoolSculpting® candidate is someone who lives a healthy lifestyle, exercises and eats well, but has one or more areas of pesky fat that just won’t go away. 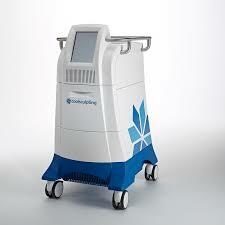 CoolSculpting® is designed to treat the subcutaneous fat on both men and women over the age of 18. It is important for patients to realize that CoolSculpting® is not a weightloss treatment; it is a fat reduction treatment designed to decrease the amount of fat cells in the treated area. Individuals that see the best results from their CoolSculpting® treatment continue to live a healthy and active lifestyle after treatment.